Tour 1 - Goreme and fairy chimneys Pick up from your hotel at 9:30am. 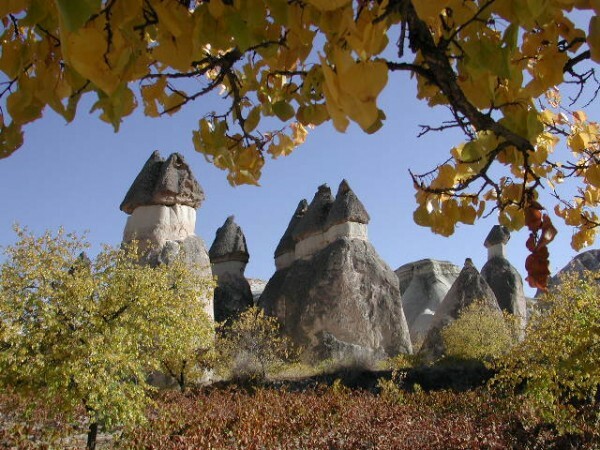 In the morning, first meeting with the lunar landscape of Cappadocia: rock formations beyond belief in Devrent valley; walking in Pasabag near Zelve ; "fairy chimneys" where the voice of wind mixes with the "songs of fairies". Lunch in Avanos, centre of terra cotta work of art since 3000 BC. and a demonstration in a traditional pottery workshop. Afternoon, visit the famous Goreme Open Air Museum and see the best examples of Byzantine art in Cappadocia in rock-cut churches with frescoes and paintings (10th to 13th century). Continue to the Uchisar Rock-Castle to have a panoramic view of the valleys of Cappadocia.Return to your hotel at around 17:30pm. Pick up from your hotel at 9:30am. Tour to Kaymakli Underground City, one of the most interesting underground settlements in Cappadocia. Soganli Valley, an Open Air Museum in a wild natural setting near a typical Cappadocian village with its different style Rock-Cut churches and frescoes. Villages in the valleys, surrounded by the "table top" mountains, are spectacular. Lunch and Visit to Sahinefendi ( Sobesos ) newly discovered (01 May 2002) mosaic houses & Archaeological excavation site. Continue with Keslik Monastery near Cemil, that hides its frescoes behind a very thin smoke layer which we can only see by torch light. The Medrese (Theological School) from Seljuk Turks in Taskinpasa is the witness of an early and rich Turkish settlement in the town. Our tour finishes with a visit to Mustafapasa (Sinasos), an old Greek town with its spectacular old Greek houses; very fine examples of late Greek settlements and architecture. Return to your hotel at around 17:30pm. Pick up from your hotel at 9:30am. Walking in Ihlara Canyon, a "mirage" in the Steps of Anatolia up to Belisirma village, the ancient Peristrema: "Valley of the Sky" along the Melendiz River. Rock-cut churches, spread across a wild plantation, surprise you with their successfully painted representations from the Bible. Lunch in Belisirma a local restaurant by the river. Stop by Selime, a village with cave houses at the end of the canyon and a "star wars" like landscape. Return to your hotel at around 17:30pm. 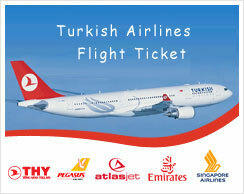 All tours above guaranteed departure independently everyday. You may email, telephone or fax us even last minute to join these tours. You can choose to join one or all of them.